This is Urban living in Viscount Alexander Park! Set at the back of the complex w 2 balconies overlooking trees, open space & the occasional deer! Fall in love with 1265 square feet of space, light & windows! Walking distance to CMHC, Montfort Hospital, La Cite, NCC land/trails, shopping & transit. You may never need a car - although parking & storage unit are included! The open concept main level has a chef's sized kitchen complete with gas stove, breakfast bar & patio doors to your private balcony for BBQ's. The massive living room with included wall unit is open to a generous dining room area. The upstairs includes a master bedroom normally found in a detached home, an oversized main bath with separate tub and shower, and 2 more bedrooms, one with a balcony! 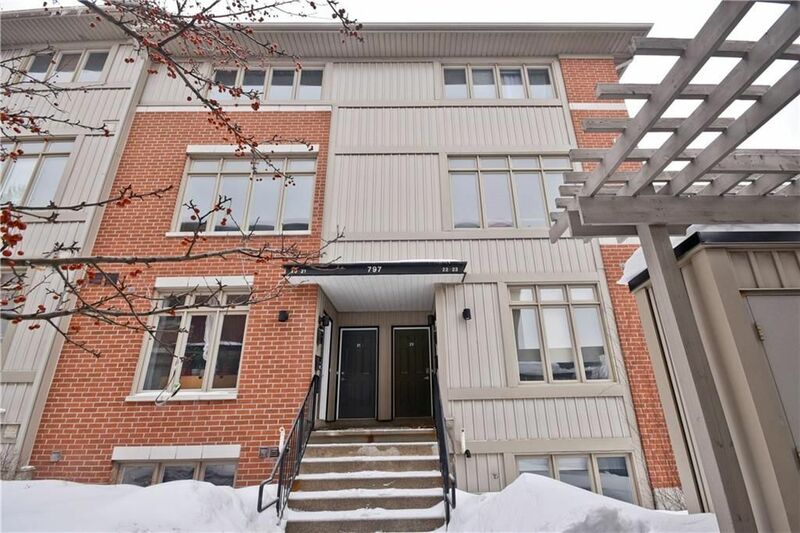 797 Montreal Road scores a 10 with its generous space, location, included parking and price!